Remington, Slugger, 2 3/4 Shell, 12 Gauge, 1 oz. Rifled Slug, 5 Rounds is rated 4.3 out of 5 by 15. Rated 5 out of 5 by StarsAndCampfires from Accurate I used these with a Remington 1100 and 21" rifle sight barrel. The recommended choke is IC, but I used an extended rifled choke. It produced a touching group at 50 yards, and that's more than good enough for me. Very impressed. Rated 5 out of 5 by Koda from Great Low Price Great deal with great low price, plus rebate.Price is lower then local sports store. Rated 5 out of 5 by Armadillojoe from Exceptional price.. I have not used these yet. Depending on the brand to be what I needed. Rated 4 out of 5 by CRR 3D from great price This is a great price for a quality item. Rated 4 out of 5 by PDMCD from Good quality and Good price. Good quality and Good price. Rated 5 out of 5 by KENNETH from Bought these to sight-in my new scope. Rated 5 out of 5 by BRADLEY from Great Price for a Quality product! 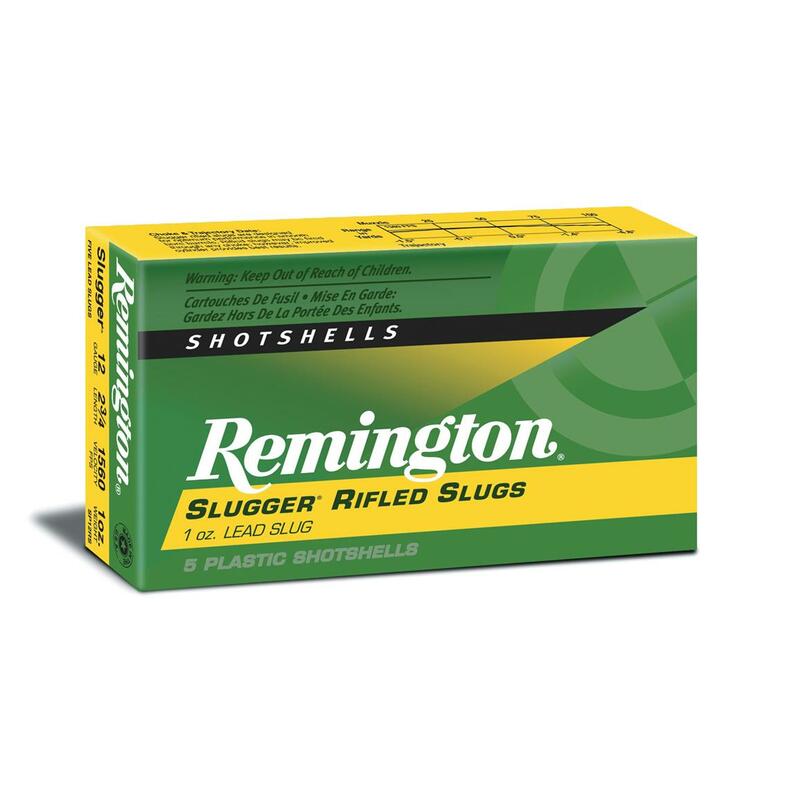 Remington makes good shotgun Slugs!